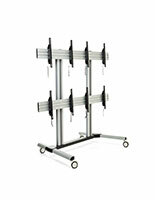 The triple video wall tv stand works seamlessly across VESA compatible 45”- 55” flat screen LCD LEDs. 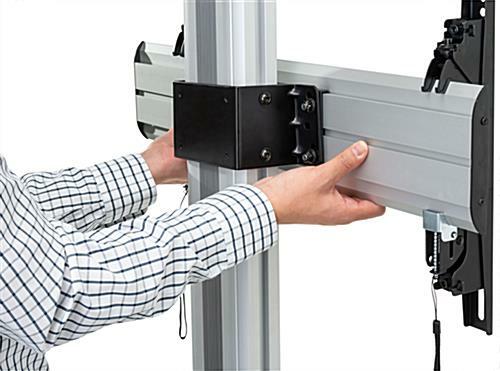 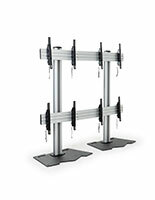 This TV display mount can create a new and exciting way to communicate with customers and clients. 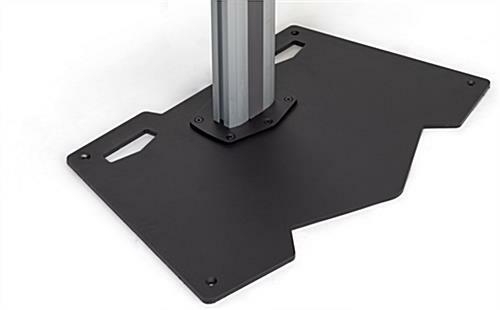 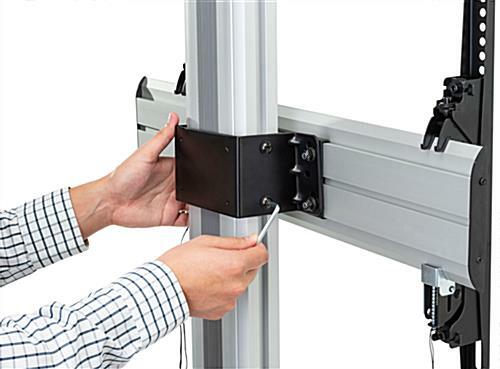 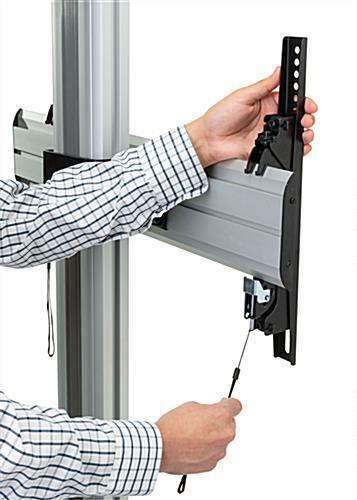 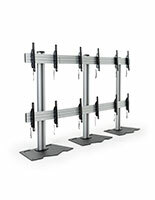 3 flat screen LCD LEDs fit onto the triple video wall tv stand ad are secured by snap-on, anti-theft brackets that can hold a combined weight of 110 lbs. 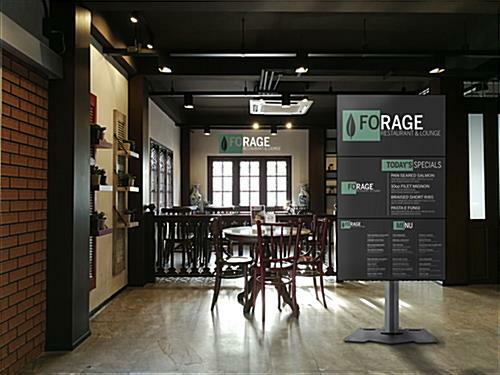 A reinforced powder coated steel design features a 35” x 22” solid pedestal to save on space and keep the screen out of the way of passersby. 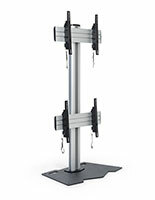 Our heavy duty display mount elevates your marketing and professional brand to a whole new level. 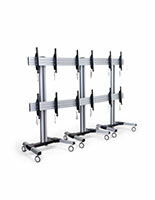 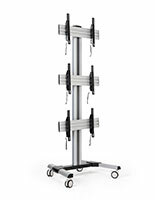 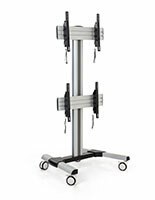 Whatever you want to communicate, the triple video wall stand will allow you to do so easily at a low price. 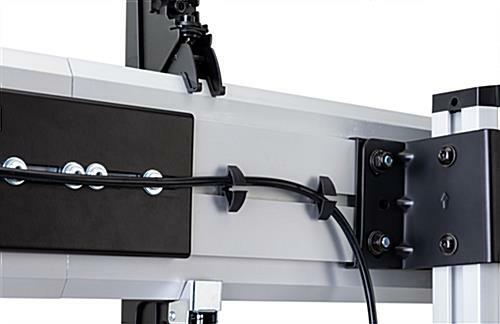 Learn more about VESA HERE. 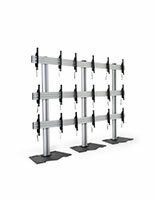 35.0" x 64.0" x 22.0"
2.0" x 17.5" x 3.0"